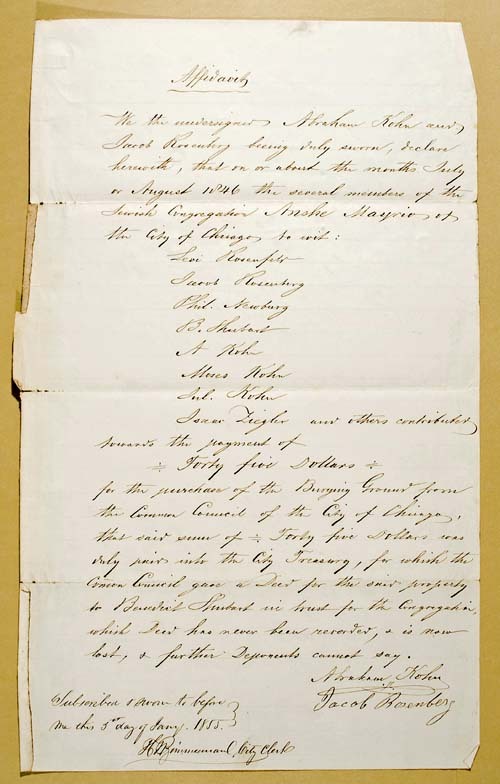 In January 1855, as a followup to an earlier request, the men who signed this affadavit requested a copy of the deed to the Jewish Cemetery within the City Cemetery grounds. The affadavit claims the deed had never been recorded by the City and the original had become lost. As a result of this correspondence, there is detailed land survey information within the Common Council documents. A land survey gives the exact location of the grounds in a way that today, with the proper instruments, the area could be measured accurately. lost, & further Deponents cannot say.